RunningSwede : Trail Running/ Summer Solitice 5Mile trail race! I'm not doing trail races to often but every year I'm coming back to one of my favorite race "Summer Solstice 5 mile in NJ. Its a great race with lot of great people. Great pre and post racing activities. The race itself is really tough, single track and 2 miles on muddy rail beds. Youre climbing over 2 ridges with really step hills. The day of the race was really hot and humid, not my kind of weather. A week ahead of the race I started to try Bee Pollen for my allergies, and I have to say it works wonder! Still my breathing gets a bit heavy when I'm racing but it feel so much better. A couple of fast guys showed up for the race and I placed 5th. I pretty much kept my placement during the whole race. I did some surges on the rail bed but was not able to get rid of the two guys who was following me. I was also trying to save energy for the last ridge at the same time. Last mile my legs were done and I had to control my steps on the down hills. 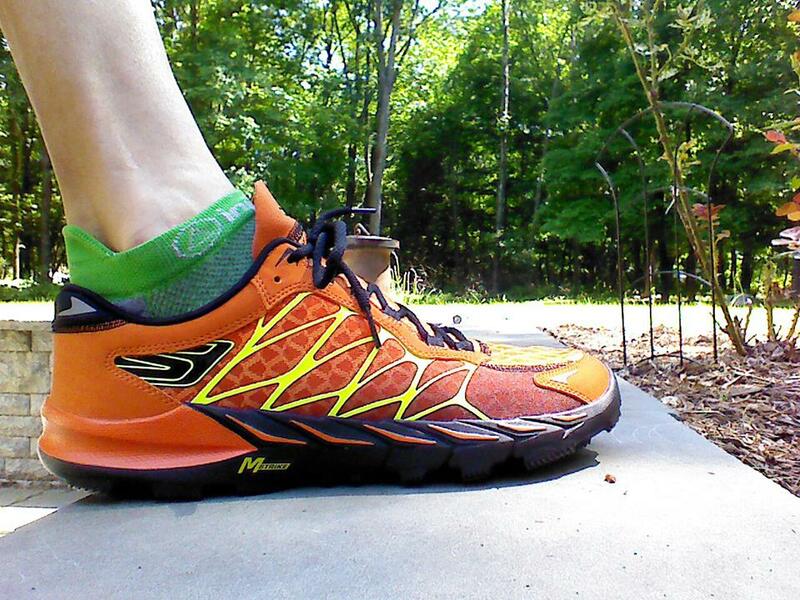 Prior to the race Skechers Performance Division sent me a pair of the new Go Bionic Trail shoe. What a great trail shoe it was. Traction worked really well over the ridges, on the rail beds. Feet felt protected against the rocky NJ trails but at the same time you had a great connection to the trails. Very light weight and fast feel. Longer review when I have more miles on them. Trail running is really fun and you always meet great people at the races, a very relaxed atmosphere. This year I will definitely try to catch more trail races in between my Marathons training with my new Skechers Go Bionic Trail shoes!